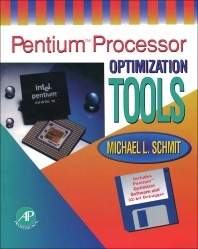 Pentium Processor Optimization Tools covers advanced program optimization techniques for the Intel 80x86 family of chips, including the Pentium. The book starts by providing a review and history of the optimization tool. The text then discusses the 80x86 programming language; Pentium and its tools; and the superscalar Pentium programming. The operation of the floating-point unit; techniques for including assembly language routines in C or C++ programs; and the protected-mode programming are also considered. The book further tackles optimizations and code alignment; as well as the background and technical capabilities of the PowerPC vs. the Pentium and their future technical directions. Computer programmers and students taking related courses will find the book invaluable.